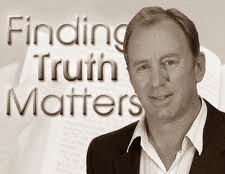 The article below was written by Dr. Andrew Corbett of Finding Truth Matters. He is currently in the process of producing a series of documentaries on the life of F. W. Boreham and provides some brilliant resources on Boreham’s life at his website. Dr. Corbett has generously given permission to reproduce this article for you today. Perhaps the most unrecognised writer within all of Christendom is the little known, but widely read, Frank William (F. W.) Boreham. Despite being unknown to most Australians he is still the best selling Australian author of all time with many of his books going into as many as 24 reprint editions! Frank Boreham wrote some 55 books and more than 3,000 editorials for the Hobart Mercury and The Melbourne Age. He was a master story teller and showed better than any other Christian author that God could be relevant in ways never before considered. Am ong the classics of Christian-must-read literature, including Pilgrim’s Progress, The Imitation of Christ, Practicing The Presence of God, Foxe’s Book of Martyrs, The Chronicles of Narnia, is now considered Boreham’s “A Bunch of Everlastings”. People have literally died clutching that book to their chests as they drew some last moments of comfort from the words Boreham had masterfully penned. I would rate this book as the one of the best books I have ever read. I now own several copies of this book which I selectively share with those who enquire about my fascination with Boreham’s writings. If you want a copy of this book you’ll have to look in antiquarian or second hand bookstores as it hasn’t been published since the 1950’s (it was first published around 1916). You should expect to pay up to $40 a copy (depending on the edition). But for some of Boreham’s other, and now rarer, books you can expect to pay up to $500 and even up to $1000 for the rarest editions! Yet this former pastor of the Hobart Baptist Church is hardly known in his adopted countries of Australia and New Zealand. 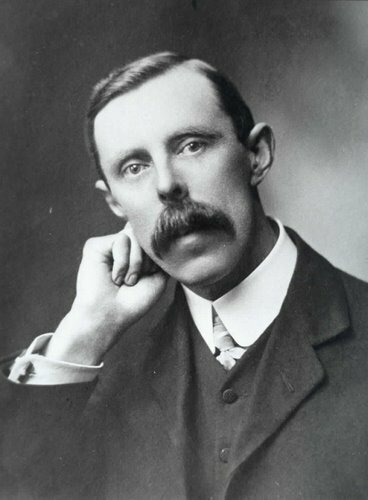 Frank Boreham was the eldest son in a large family. Frank Boreham was born in England in 1871. He was particularly blessed with amazing parents. His father seemed to Frank to be the most inquisitive man on earth. His mother seemed to him to be not only the most beautiful woman on earth but also the best story-teller in the world. Frank inherited both these traits in generous proportions. His almost insatiable curiosity, his deep faith, and his warm manner were destined from his childhood. His parents were committed church-goers and felt strongly enough about church integrity that they left their close-by Anglican church to attend a ‘non-conformist’ church. When Frank was not much more than a baby he was taken in a pram for a walk in a nearby park. This is one of those few and curious occasions where something virtually inexplicable happened. An older “gypsy” woman came over to the infant in the pram and ‘prophesied’ over him. “Put a pen in his hand and he’ll never want for anything.” She could never have naturally known how understated her prediction would be! Frank had a delightful education in which he excelled. By his own admission he was not particularly good at sport, and perhaps to compensate for this deficiency he read books. It was at this early stage of his life that he was introduced to an institution which he was to frequent in various locations throughout the rest of his life: the library. Each day after school he dropped into his small local library and devoured adventure books and biographies. Combined with his mother’s broad literary knowledge and a brief encounter with Charles Dickens, young Frank became an extremely well-read young man which laid a foundation of knowledge for him from which he was to later base many of the illustrations in his 55 books. 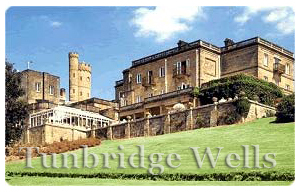 His fond memories of Tunbridge Wells and his ability to reflect upon his natural environment from quite a young age, largely inspired by his father’s contagious fascination with flora and fauna, caused him to later write with great affection for the mountains of New Zealand, the bush of Australia, and the lawns of English gardens. It was around this time that he became fascinated with his Grandfather to whom he was often sent by his parents and marvelled that these visits often caused the addition of a brother or sister to his family. His Grandfather was a deeply religious man. One day Frank walked into his Grandfather’s lounge room and discovered him reading his Bible. Apparently he was reading it for pleasure. This left an indelible impression upon young Frank as he had never previously connected the words “sacred” and “worship” with the idea of “pleasure”. He was to ponder this for years to come. Frank raced through secondary school due to his unusual ability to learn quickly. By 14 he had essentially graduated High School and soon after acquired a good grip of most of the classics including the Greek language through doing night school at the local Mechanics Institute (this later enabled him to complete a 4 year ministerial training program in just two years). In his autobiography, My Pilgrimage, he implies that his formal education was stopped early due to his parents’ inability to further pay the necessary fees. This meant that Frank had to enter the workforce. He became a clerk for a brick manufacturer. This inadvertantly equipped him to be able to write quickly in short-hand (a skill he taught himself and mastered during a later 5 month hospital stint), a talent which he would use throughout the course of his life. This new job led to an amazingly understated turning point in his life. One day Frank was walking carelessly across some of the company’s rail tracks and failed to see an oncoming rail carriage which hit him and dragged him underneath severing his foot and leaving him suffering and incapacitated in hospital for 5 months with septicaemia and as an invalid for the rest of his life. Yet, in his life story he lightly glosses over this episode and never refers to his injury in any of his books! After he recuperated he had to learn to walk with the aid of a walking stick. Returning to work on his first day back he set off on a cold day for his three mile trek to the Brickworks. No sooner had he left through the family gate than his father heard his son crash on the icey pavement in pain. He had slipped and broken his damaged leg (he would go on to break this leg another three times throughout his life). His father recognising that such a long walk to work was not going to be possible for his son arranged for him to work in the city of London after his recovery. After Frank’s recuperation, during months of dire illness as a result of his accident, he took up a position in London as a clerk when he was still a teen. He describes this as the loneliest time of his life. Partly to alleviate this loneliness he sought out a church to attend. Prior to leaving Tunbridge Wells his pastor had written a letter to him. This had a profound affect on him. He kept that letter on his writing desk till the day he died. It was not just the content of the letter that impressed (his pastor had urged Frank to accept Christ by subtlely pointing out that people are not Christians by virtue of church attendance, being good, or having Christian parents and that confirmation was the natural response of those who had experienced new birth through Christ) but it was also the medium which impressed Boreham. A letter as a pastoral tool. When Boreham himself became a pastor he used this device to great affect in pastoring those in his charge. 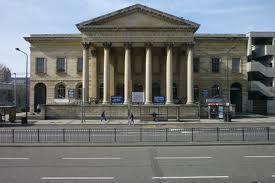 Frank came across several church groups in London which profoundly influenced him. He joined a non-conformist church, like his childhood one, but was drawn to a group of street preachers who practiced several things his limited church experience had not exposed him to. This included the “laying on of hands” and water-baptism by full immersion for adults. It was around this time that Frank received Christ and therefore became a Christian. At the age of 17 he wrote to his Tunbridge Wells pastor and told him the good news. He also searched the Scriptures to ascertain whether adult water baptism was Biblical. Becoming convinced that it indeed was, he was baptised. He was also introduced to street preaching and seemed to excel at it. In fact, so good was he at it, that two life-changing things were soon to happen. 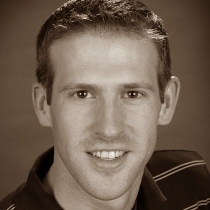 By the time he was about 22 he became convinced that God had called him to the ministry. He resolved to prepare for this call. This was the first profound thing. The second was like it. Exploring the possibility that his ministry might be on foreign soil he met with Hudson Taylor for afternoon tea to investigate going to China. Hudson Taylor saw the limping Boreham and squashed the idea. Boreham resolved that if he couldn’t go to the Mission field he would commit his life and ministry to helping those who could. Frank continued to gain prominence as a street preacher and caught the attention of Charles Spurgeon who invited him to enrol in his Pastors Training College. Just two days after Spurgeon signed Boreham’s application, the Prince of Preachers died. F. W. Boreham was the last student to be recruited and approved by Charles Spurgeon. Boreham thrived in Bible College. While serving in one of the Metropolitan Tabernacle’s pioneer churches at Theydon Bois (just outside London) as a student preacher he became besotted with a young lady five years his junior. While he never made his feelings known to her, although he longed to kiss her during one romantic stroll (an impulse he didn’t act on – but rectified wh en she came to bid him farewell at the dock when he was leaving for New Zealand). Boreham’s Bible College training was cut short for two reasons. Firstly, he had already mastered most of the subjects taught in the final year (including Greek) and therefore was considered to have graduated and secondly with the tragic death of Charles Spurgeon his son had been called back from New Zealand to oversee the Mettab (Metropolitan Tabernacle). After prayer, in which the young Boreham had been praying about his future, he felt God speak to him about serving Him in foreign countries. As Boreham prayerfully dreamed, he told God that he would like to serve Him overseas (despite what Hudson Taylor had said was possible for him) and that he would like to pastor three churches for a decade each and then be available to churches of various denominations for the final phase of his ministry. Shortly after praying this way, he had a fellow student approach him and say that he felt God was going to call him to New Zealand. About this time he was summoned to see Mr. Spurgeon. He presented himself and was invited by Spurgeon to accept the invitation of Mosgiel Baptist, a small rural church south of Duneedan, New Zealand. At the age of 24 in 1896 F. W. Boreham arrived in New Zealand to take up the pastorate of Mosgiel Baptist. New Zealand was less than 50 years old as a European settlement at this time. Mosgiel was then a pioneer town of around 1,000 people. 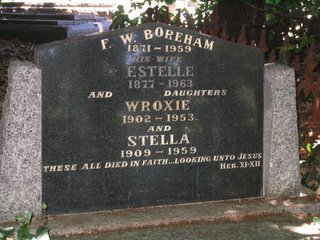 Boreham’s affection for Stella was unabated. He wrote an unhopeful letter of proposal to her from New Zealand inviting her to come to New Zealand to be his bride. Amazingly, she accepted! They would go on to have 5 children. Mosgiel became the unlikely launching pad for the greatest Christian essayist of all time to commence writing prolifically. Boreham approached the nearby Duneedan newspaper and enquired about organising a regular religious column. They agreed to the idea and from then Boreham’s sermons were converted to concise newspaper articles which would later appear in the Hobart Mercury and Melbourne Age weekly for 36 years. Boreham served the Mosgiel Baptist church for 12 years. Then one day his wife Stella said to him that she sensed the Lord was going to send them to Hobart, Tasmania. He did. He served Hobart Tabernacle for 10 years until 1916 and ministered to civic leaders, politicians, businessmen, and visitors from across Australia. During the war years he served tirelessly—working every day of 1915—culminating in him having a physical breakdown by 1916. This was compounded by several serious falls when he broke his leg and damaged his hip. Yet his writing continued and amazingly his references to his own difficulties were absent. He was then invited to Armidale Baptist, Melbourne, which had a structured staff to assist Boreham concentrate on what he did best: preach and write. He served them for 12 years and was invited back often after his retirement. He then went on a tour of North America (including Canada) and the British Isles. Boreham lamented that he was not a more evangelistically effective preacher. Very few people came to Christ directly as a result of his preaching. During his time in Mosgiel, although he had great affection for the people, he felt somewhat wasted in such a small town at the other end of the earth. He never voiced these frustrations though. Instead, he took his Sunday sermons preached to a few dozen people, put them to paper and published some of these in the local newspaper and eventually became the editor of the New Zealand Baptist magazine where some others also appeared. He also sent some on to a Christian newspaper in Australia who gladly published them. Shortly after arriving in New Zealand, Boreham was taken under the wing of Rev. John Doke who greatly impressed him. Frank marvelled at the depth of knowledge and wisdom Doke had despite his lack of formal education. Enquiring into how this happened, Mr. Doke gave the young Boreham perhaps the most profound advice he was ever to receive. “Read!” said Mr. Doke. “Read what?” asked Boreham. “Start with Gibbon!” replied Doke. And so Boreham did. He began reading Gibbon’s Rise and Fall of the Roman Empire and made a commitment to buy and read one new book a week for the rest of his life. This was a commitment, reflected Boreham, that financially strained his young family to breaking point at times but was to later reap huge dividends way beyond his initial investment. About this time Boreham made a commitment to be an emminent preacher. He reasoned that if actors and barristers spend a large amount of their time, energy, and money to learn how to present their case before a jury in order to defend their client or entertain their audience, then how much more should those who fill the office of preacher study to become more proficient in their craft than barristers and actors since they are dealing with matters that are immense, infinite, and eternal? So Boreham made regular trips to Court rooms and theatres to learn. In some respects he found his newly acquired preaching skills to be way beyond his small rural congregation. He longed for a larger audience. This partly came about when he accepted the call to Hobart, Tasmania. But even there he found indifference and irregular attendance a huge challenge. He determined to preach with such vigour, passion, and interest that he would reverse these negatives. One Sunday night he spontaneously announced that starting next Sunday and for every second Sunday night following he would be dealing Texts That Changed The World. Perhaps those Sunday night congregational attendances never quite grew to Boreham’s expectations. I think every pastor and preacher has felt this pain. But what resulted was Boreham committing these sermons to print and were soon after published as A Bunch of Everlastings. This book was to sell in the millions and go through some 24 reprints! Toward the end of Boreham’s ministry he went on a tour of the USA and Canada. He was stunned at the level of admiration and affection he received from Americans who had grown to love his books over the previous 30 years. When he arrived in Canada he was greeted as “Dr. Boreham” and went to correct his host who informed him that he had been given an honourary doctorate in divinity from the same Seminary which his hero, F.B. Meyer, had also been honoured. Travelling across the Atlantic to the U.K. he was overwhelmed with his reception. In Ireland his wife was publically honoured for her years of support of her husband’s ministry. Boreham was to almost tearfully respond by saying that he would forever be in the debt of Ireland for their warmth and thoughtfulness especially toward his wife. It was after this tour that Boreham reflected on the enormous numbers of people from both of these continents who thanked him for his books which had brought them to faith in Christ. It was then that Boreham realised that his years of toil in research for his preaching had not been wasted as God had indeed used him to be most effective in evangelising. Frank Boreham was a masterful writer and preacher who drew large crowds in his latter years of ministry at Armadale and then during his lunch hour ministry at the inner city Presbyterian Church (which he did until he was 84). His books have had a profound impact on preachers and pastors all across the globe. N ot the least of these was Billy Graham who met with FWB on his first visit to Australia. With one brief painful exception which took place early in his ministry, Boreham never used his writings to attack. Instead, he hoped to cause his reader to think, ponder, and appreciate. His terms of reference were summed up in his own words about the august responsibility of a minister of the Gospel: immensities, infinities, and eternities. He sought to help his audience appreciate the immensity of God and His wondrous creation. This refusal to distinguish between sacred and secular led Boreham to regard Aunts, lawns, sleep, and wet paint as somehow demonstrating the majesty of God. For those serious about preaching and maximising its effect, the writings of FWB cannot be overlooked as thousands of preachers have already discovered and tens of thousands will yet. In recent times this has been aided by Dr. Geoff Pound setting up The Official F. W. Boreham Blog Site, and Kregel Press in the USA beginning to reprint some of Boreham’s books. If you come across one of F. W. Boreham’s many books in a second-hand bookstore, garage-sale, or an eBay listing—do yourself a favour. Buy it! Serious collectors are now paying between $500 to $1000 for some of his rarer editions! If you’re not interested in reading any of Boreham’s books, but stumble across a neglected volume in some jumble sale, please buy it and send to me! It may just be one of the 15 titles that I am yet to acquire and am the worse off for having not done so yet. Copyright © 2007 Dr. Andrew Corbett. Used by permission. Where can I find books by F. W. Boreham?